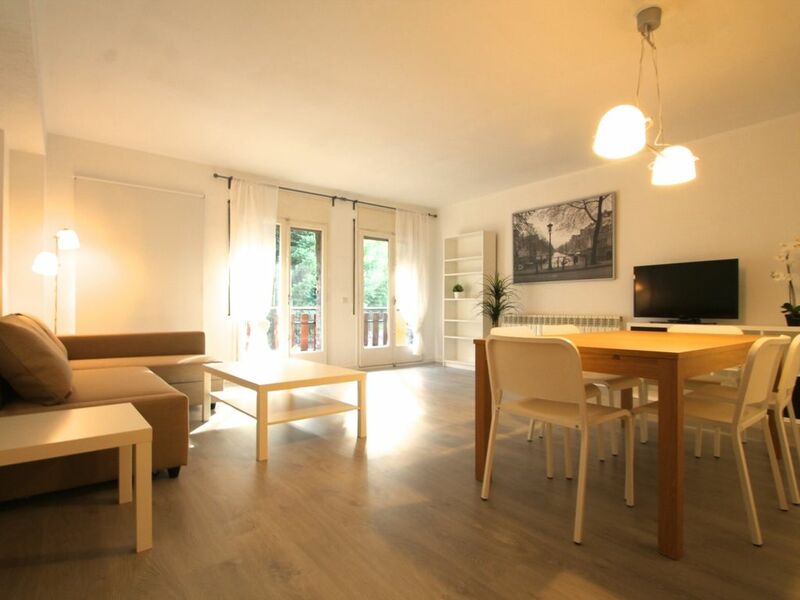 Cozy apartment in the center of La Massana. The apartment sleeps up to 8 people, there are 3 bedrooms; one with queen size bed, a room with two single beds and one with bunk bed, a living room with a double sofa bed, fully equipped kitchen, 2 bathrooms. The area offers various services, such as bus stop, supermarket, cafes, bars, sports shops, restaurants, among others. The Pyrenean country gives you a wide range of activities to enjoy with family or friends. Discover the most special corners of this small country and live the Vallnord experience before and after skiing. Vallnord has three sectors to enjoy winter sports, Pal, Arinsal and Arcalis. Currently, Pal and Arinsal are communicated through a sixteen-seater gondola lift, which you can enjoy 63km of slopes. Vallnord has a continuous bus service, completely free, which links the three sectors, thus making it easier travel.